Leisurely reading often means picking up an electronic device these days, and many people never even consider starting a collection of “dead tree” books. 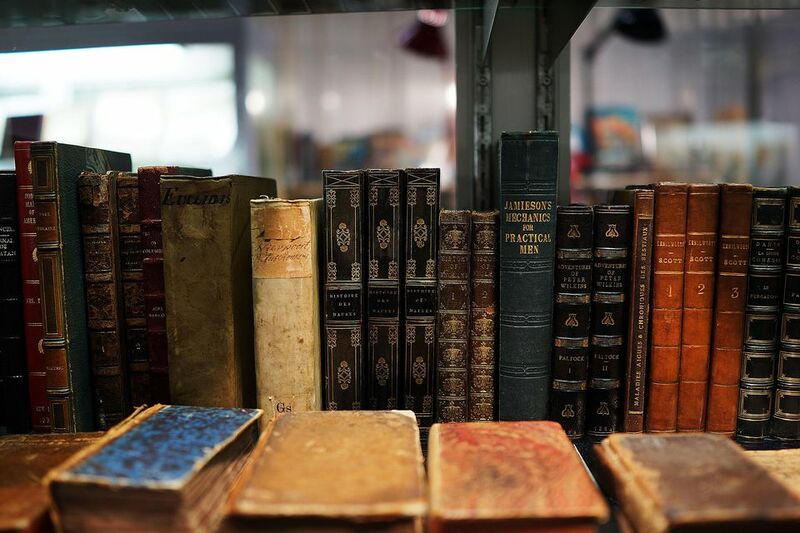 The increasing novelty of books, however, may point to this genre of collectibles becoming more attractive over time as people discover the nostalgia associated with book collecting. What makes book collecting so appealing? Among the rewards are intriguing titles and fantastic illustrations along with the interesting stories. Who wrote and illustrated a book, how it is printed, the name of the publisher, and when it was published, all add weight to the value. If you find your interest piqued, keep the following basics in mind when hunting, collecting, and handling old books. A very basic description of first edition, according to AbeBooks.com, would be the “first appearance of a work in question.” When asked about identifying first editions, James Gannon, who oversees rare books for Heritage Auctions, shared that each publisher marked first editions differently. When examining a book, take note that the publisher may actually state the words “first edition” or “first printing” on the copyright page. Another method of identification used since World War II is the number line. This equates to a line of numbers on the copyright page. Most of the time if the numeral one is found in the line of numbers, then the book is a first edition. If an initial print run of a first edition sells out and the publisher decides to produce a subsequent printing with the same typeset, the book would be described as a “first edition, second printing.” Don’t let this distinction slip by when evaluating older books. It can make a big difference in the value. Telltale clues lie within each type of book, and sometimes vary from publisher to publisher. True antique books aren't always as easy to identify as first editions when compared to more modern printings. You may have to consult a rare book expert for confirmation. The value of a first edition will fluctuate with demand. Every book had a first printing, but not all of them are worth a fortune. After you determine that you indeed have a first edition in your possession, then you have to research the potential value. If changes are made to a book after the first printing, the book would be described as a second edition. Changes of this nature can include adding a chapter or the addition of a foreword, for example. Some second editions have very few changes though. While not as valuable a first editions, second editions of some books can certainly be collectible. Gannon, who once built an entire collection based solely on second editions, added, “Second edition books are often essentially the same book as first editions, perhaps with very minor changes or none at all.” They won’t be as highly valued, but do hold more worth than later runs of the same book and merit noting in a collection. These can be researched just like first editions. Keep the dust jacket with a book, even if it’s in poor condition. Dust jackets often contribute as much as 75 to 85 percent of the value of a collectible book. Use clear mylar covers to protect them from further wear. Remove books from the shelf correctly by pushing in the volumes to either side and grasping the book at the center rather than the top of the spine where it can tear. Take care not to extend a book too far when opening it to protect the binding. Always use a bookmark to hold your place rather than laying a book flat with the pages open. Never eat or drink while handling a book you want to preserve. Asking an antiquarian book dealer for hands-on guidance in this area could also be a fruitful part of a trip to these bookshops. You can often find older editions of books (at affordable prices) at used bookstores. This is usually a first step for beginning collectors. Books found in this setting probably won’t end up being extremely valuable first editions, or even moderately valued second editions. However, Gannon shares that older books are generally more interesting and often of higher quality in terms of construction when compared to recent reprints. If you have an opportunity to shop garage sales, thrift stores, and estate sales, these settings are usually great for browsing bookshelves filled with all types of selections. While you may never actually run across a first edition in one of these settings, it never hurts to know the potential value of these collectibles and how to identify them, just in case.